Can you spot the mistake in the following sentence? Yoga will benefit you’re life in many ways. If you saw the mistake, you know that you’re should have been your. Yoga will benefit your life in many ways. Your and you’re are homophones. They’re words that sound alike but are spelled similarly and have different meanings. In this post I’ve outlined some tips on how to spot incorrect word use, plus we’ll look at a few of the most common homophones you’ll come across as a proofreader. A common problem many people face is they become blind to homophones. While the average person can claim they missed them because they were “in the zone” and the words were flying by, professional proofreaders can’t use this excuse. It’s our responsibility to fix incorrect word usage. Their message will be changed and lose its power. There won’t be any resonance with the client’s target market, and the impact the client was going for becomes less effective. Look at this poster headline: Join now and change you’re life with yoga! I can’t believe they made a mistake. It should be “your”! Why would I listen to them when they can’t even spell properly? When I do my cursory skim through a project I always make note of any incorrect homophone use I spot so I can address it in my thorough proofread. You can’t rely on editing programs like Spell Check to catch homophones, especially if the mistakes are spelled correctly! When it comes to certain words like you’re, your, too and to, it’s easy to overlook them if you’re in a rush. This is why some people like to do a backwards proofread. However, backwards proofreads are best if you’re proofreading your own work, and usually if it’s a short project, like a one or two page letter. During my cursory skim, I’ll write down any incorrect use of homophones I spot and note the page number. When I come across homophones like they’re/their/there in a long sentence I’ll reread the sentence. For short projects like a blurb I’ll do a slo-mo read: read in a halted manner, as if each word is its own sentence. I do a whole document text search for common homophones or any specific ones I noted down. If it’s a short- or medium-length project I’ll look over the content again, making a point of looking for homophones. Here’s the cheat sheet of the most common homophones, along with the correction instructions, which you can grab from my free proofreading resources library. Obviously you’re gonna catch homophones better than the average person who doesn’t have a natural talent with words, but it’s always a good idea to do my final trick just in case you missed something. When I’m finished, I do a text search of the whole document for specific words. You can find the following instructions in the downloadable cheat sheet. Never share your home address on social media. If you’re willing to learn, then nothing can stop you. Emma drank too much wine and fell asleep by eight o’clock. Sal went to check on the kids before he went to bed. There were two of them in on the scheme. Red said he’d help the students if they’re willing to putting in the time. The dancers insisted on having their teacher dance with them. Bo’s teacher told him to place the boxes over there, by the window. Kim didn’t know if Aaron planned to work overtime or not. “Tell them now, before it’s too late,” warned the detective. There is no point in making dessert if everyone is watching their sugar intake. These examples are just a fraction of all the homophones you’ll come across, and are commonly mixed up in content like blog posts and books. It’s always worth it to put extra effort into spotting and fixing them. 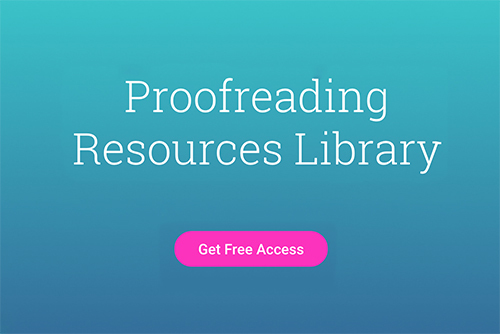 Make it a part of your proofreading process so you deliver high quality work. Are there any homophones that always trip you up? Share in the comments section below! Can you please elaborate on those practical example, I mean can you publish more proofreading subjects on your blog like these, instead of those freelance blog posts. Compliment and complement are the most common ones I come across. Those and stationary vs stationery. Those are great ones! Today I came across “road” instead of “rode” in my work.